What Is So Special About Almond Milk? Milk has always been a great source of calcium and other nutrients. Plus, it is also essential for our daily cups of coffee or tea as a daily supplement for nutrients. There are various type of milk that is available to us, such as, full fat, low fat, no fat, skimmed, soy, almond, rice and etc. However, almond milk is one type of milk that has been growing increasingly popular in the recent time. Almond milk is absolutely delicious, enriched with nutty flavor and nutrients. Low-calorie and high nutrients are one of the reasons why almond milk is a great alternative for the dairy product. Almond milk is the most conveniently available and also comes infused with different flavors. Here is why the almond milk makes it so special. Do you know a glass of full-fat milk has 140-150 calories? The biggest negative in the consumption of milk has to be the high-calorie content of the product. This is the main point why almond milk instantly becomes a choice for calorie-conscious people who want to enjoy their coffee and tea guilt-free. Although almond milk is not nearly as nutritious as cow’s milk, enriched product come close. What makes them more similar to regular milk is in nutritional content. They contain added Vitamin D, Vitamin B2, Vitamin B12, calcium, and protein. In addition, almond milk is naturally rich in several vitamins and minerals, especially Vitamin E.
Vitamin D and calcium in almond milk is good for bone health while Vitamin E is good for skin and reduce acne-prone. However, almond milk is not naturally high in Vitamin B12, they are usually synthetically made, so it’s vegan-friendly. If you are love to drink milk but you have lactose intolerant or dairy allergy, almond milk is the best milk substitute. Be aware that almond milk has less than eight grams of protein as needed. Thus, you may need to add protein. Therefore, almond milk is suitable for a supplement for those have lactose intolerant or dairy allergy. The good thing about almond milk is low cholesterol which is perfectly fitting for those who are battling bad cholesterol. Rising cholesterol levels is one of the prevalent health issues that most people have to deal with. Almond milk and a healthy lifestyle are the good combinations that can help you maintain a healthy heart. There is a perception that healthy food doesn’t always taste great. However, almond milk has broken this myth with good taste. Besides its health benefits, almond milk also offers a variety of flavors that are infused during extraction. Now that you what makes almond milk so special. Almond milk is the best alternative to dairy milk has clearly proved with all these factors. This is one switch which is easy, instant and does not compromise on our taste, while we struggle to make various switches for our health. 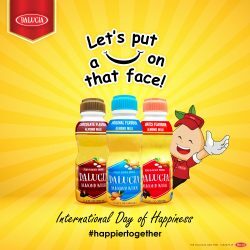 http://www.thedalucia.com/wp-content/uploads/2019/03/almond-milk.jpg 225 225 Dalucia http://www.thedalucia.com/wp-content/uploads/2019/03/Logo-bookmark.png Dalucia2019-03-25 16:21:482019-04-08 12:30:20What Is So Special About Almond Milk?